1. How long have you been struggling with chronic stress that packs on the pounds? 2. On a scale of zero to 10, how important is it for you to manage your stress, live more and reduce all those worrisome health risks once and for all? 3. What have you tried doing to manage your weight and stress in the past? Be sure to include your name and cell phone number so someone from our office can get back to you within the next 24 to 48 hours to schedule your one-on-one “Stress Less, Weigh Less, Live More” 45-minute phone consultation. Please make sure you’re in a quiet place (ideally in your home) with minimal distractions so you can really tune in to your highest self and ditch your iPhone/iPad during this conversation. The sooner you send us your answers, the more likely you are to get a session. This is a limited time offer and my practice can only accommodate five new clients right now. The rest will be put on a waiting list, so if you’re ready to break your vicious cycle of stress, cravings and weight gain and are committed to taking action and not staying stuck anymore, click here right now. 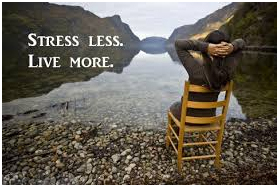 Stress management bumps up against core patterns of belief and behavior that are difficult to change. If you could have done it on your own, you would have, so don’t be afraid to reach out for support and grab this deal while it lasts.